Ysbryd Games and Sukeban Games’ VA-11 HALL-A: Cyberpunk Bartender Action a strong narrative-driven game that mixes bartending, a cyberpunk setting, and the stories of everyday characters. It's different, bizarre, and refreshing to say the least. 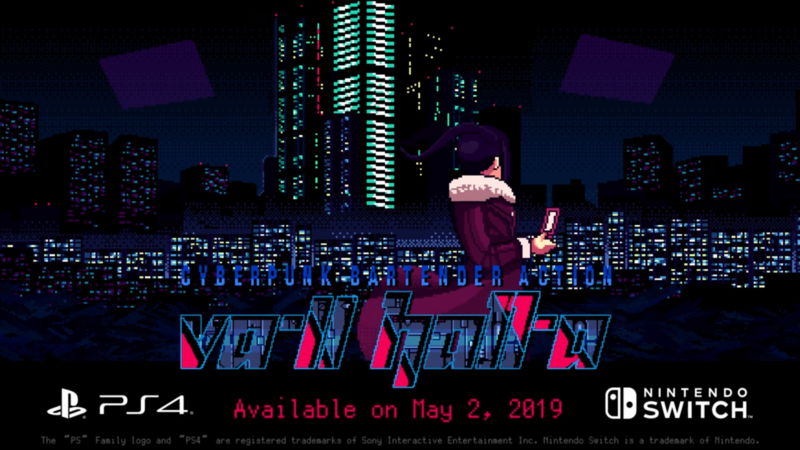 Today, the developers confirmed that VA-11 HALL-A: Cyberpunk Bartender Action will finally be releasing for PS4 and Nintendo Switch on May 2. If you cannot wait that long it's now available for PC and PS Vita for $14.99 and will release on PS4 and Switch for the same price. Physical copies will be released as well thanks to Limited Run Games. If you already played the title then you'll be glad to hear that a sequel is set to release this 2020. N1RV Ann-A: Cyberpunk Bartender Action which will release for PC, PS4, and Switch sometime in 2020.